Good Shepherd Home Health Services brings comprehensive home wound care to you. Good Shepherd Home Health Services is a state licensed, CMS certified; TAHC member and Joint Commission accredited home health agency that has been growing year after year and is now positioned for faster growth even in this current economy because the demand for comprehensive wound care in the home environment for individuals with the desire to stay-at-home and be cared for continues to rise. Good Shepherd Home Health Services is contracted with the HCHD LBJ Hospital and the VAMC for home health services with a particular focus on home wound/ostomy care and infusion therapy. The Agency also currently provides home health services seven days a week, 24 hours a day to seriously injured veterans for the VAMC. We have helped patients and their families with every type of home healthcare case/situations imaginable. With a staff of (2) specially trained WOCN registered nurses with over (21) years combined professional experience, a team of experienced and diverse clinical/field, office and contract therapy/MSW professionals, the home health agency provides quality care in the areas of skilled nursing, physical therapy, occupational therapy, speech therapy, medical social work and home health aide services. The Agency's continuing goal is to provide quality care to all its patients, PROMOTE its specialty and comprehensive approach in the treatment of active, chronic and non-healing wounds by its WOCN wound healing professionals through a collaborative, team effort continuum of care while enabling patients to stay at home and be independent as possible in a comfortable home setting. 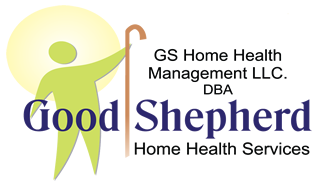 For more information about comprehensive, specialized wound care and other home health services in the home environment provided by GOOD SHEPHERD HOME HEALTH SERVICES. Please call 281-861-9146 or 713-829-2665.